Southfield-based Continuum Services, a building maintenance and facility services company, has named Dan Ringo as its new chief operating officer. Ringo will focus on corporate operations and strategic planning, sales leadership, employee development/retention, and recruitment/performance management, in addition to corporate client services, including client development, management, and satisfaction. Ringo, of Southfield, joins the organization with 20 years of experience in operations management. He most recently served as vice president of facility operations at SodexoMAGIC in Chicago. SodexoMAGIC is a partnership between Sodexo and Magic Johnson Enterprises, an organization that fosters community and economic empowerment by providing high-quality entertainment, products, and services. Ringo also served as district manager and was general manager of Sodexo USA. While at Sodexo, Ringo’s primarily responsibility was for the Chicago Public School system. 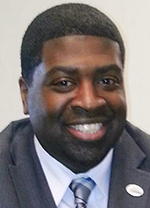 Additionally, Ringo served as director of operations at Powerlink Facility Management Services, where he was responsible for overall direction and maintenance of the Detroit Public School’s facility services, as well as executive director at the International Union of Operating Engineer Local 324 and facility manager at Detroit Public Schools. Ringo earned his bachelor of technology degree from Wayne State University and his juris doctor from Wayne State University Law School.